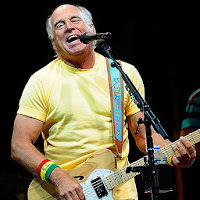 Turn the calendar to August, and you will see that Jimmy Buffett is scheduled to perform at Alpine Valley on August 25. Buffett fans are called "Parrotheads," and they are excited to know that this show is just a few weeks away. All they need is a bit of sun, and a parking lot to party in before Jimmy Buffett hits the stage. Alpine Valley has at least one of those two things. There is nothing they can do about the sun. Either way, the event will be great. Jimmy Buffett tickets are currently priced at $59 each for lawn tickets. Pavilion seating is priced higher, but if you buy a pavilion ticket, you will be under cover, and have an actual seat to sit in. Some folks say that there is more fun to be had in the lawn section. I'll bet that's the case during a Buffett show.